Cheap – I was able to buy a 3.7kg Kent pumpkin @ $0.98/kg = $3.65 for the entire batch of soup– if this serves 8 people it’s 46c per serve – Bargain! 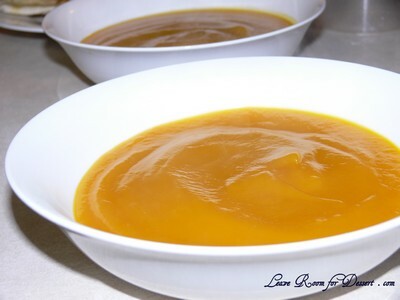 You only really need two ingredients a pumpkin and some chicken or vegetable stock, or stock powder – for those who won’t use up the rest of container of stock. You can refrigerate or freeze the leftovers and reheat in the microwave or on the stove (it may form crystals when frozen, but once mixed through it’s fine). 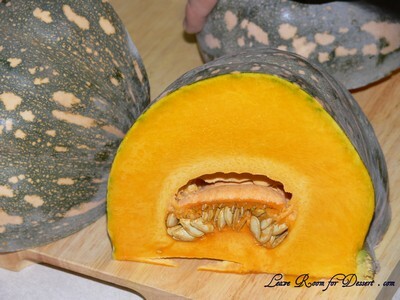 Peel and de-seed pumpkin. Cut in small pieces (4 x 4 x 1.5cm) and place in a large pot. Add enough water to almost cover (1-2cm below) the pumpkin pieces. This will make a thick soup, so you can add more water now or after blending if you prefer it thinner. 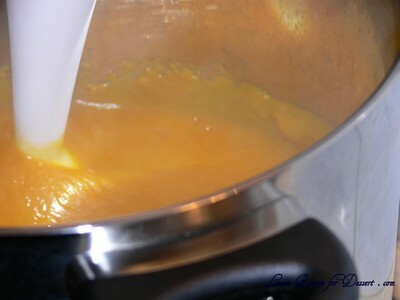 Add the stock and heat over medium heat until the pumpkin is soft and a cake tester or sharp knife goes in and comes out easily. 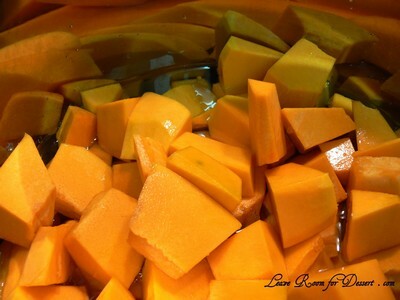 Use a hand blender to blend up the pumpkin. See – I told you it was easy! You could always fry up one finely sliced onion before adding the pumpkin, a bit of cream after it’s blended to add some more taste and serve with tasty herb bread. 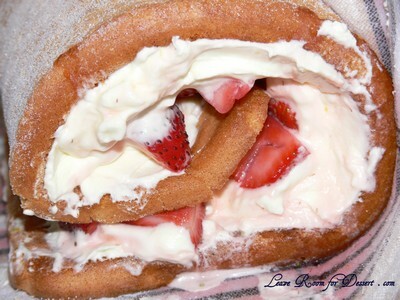 Of course the bread and cream make this a bit less healthy, but it certainly tastes great! 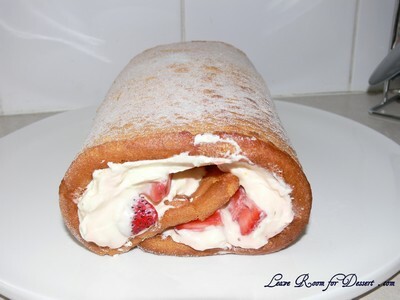 When I think of a strawberry roulade, I’m mainly thinking about the strawberry jam and cream rolls I used to eat when younger, or the little rolletes that come in the packets at the supermarket. This is unlike any of those bought rolls, with the beautiful cream contributing so much more to the flavour and experience than expected. When I saw this very grown-up berry roulade recipe in the Marie Clare Magazine, I tore the page out and waited for an opportunity to make it. 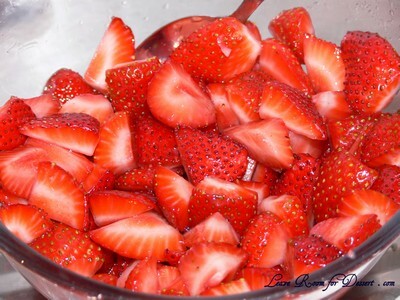 I decided to use only strawberries, as they looked lovely and fresh at the time I made it. 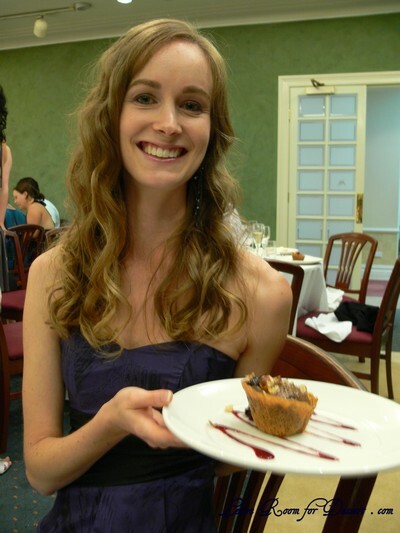 The addition of a sweet lemon cream was fantastic and I know I could have just eaten the whole bowl of cream by itself. Place berries, ¼ cup of caster sugar and kirsch in a bowl and toss well. 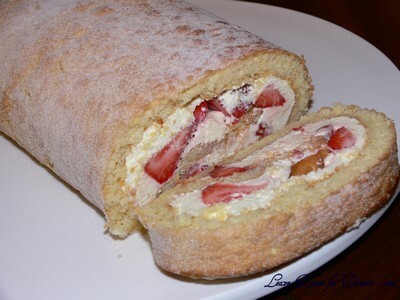 Set aside for at least 30 minutes (or while you prepare the rest of the roulade). Preheat oven to 200°C. Grease a 20 x 30cm swill roll tin (I used a 25 x 37cm tray) and line with baking paper (cut a piece too large for the tin so paper hangs over edges). 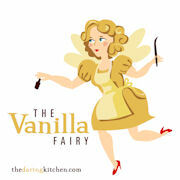 Beat eggs, ½ cup caster sugar and vanilla until thick, pale and creamy. Sift together flour and baking powder and, using a metal spoon, gently stir into egg mixture along with ground almonds. Pour batter into tin, making sure it fills the corners. Bake to 10-15 minutes or until golden and firm to the touch. Remove and cool on a wire rack for 5 minutes. Sprinkle a clean tea towel generously with extra caster sugar. Invert cake onto tea towel, then gently peel paper from back of cake. 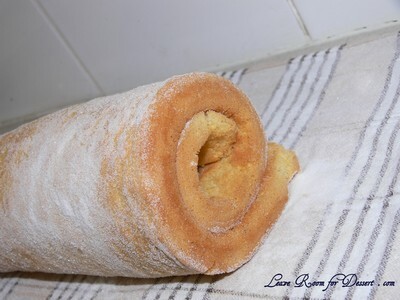 Using the tea towel, carefully roll the still warm cake up from the short end and leave for at least 10 minutes. 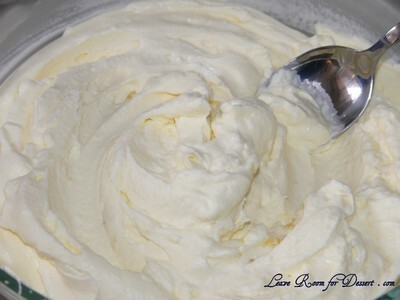 Whip cream together with caster sugar, lemon zest and juice. Set aside for 10 minutes for flavours to infuse, taste and add more lemon juice if necessary. 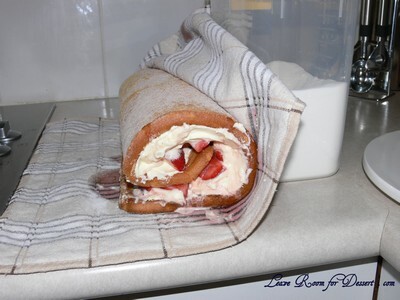 Carefully unroll cake, but don’t flatten out too much or it will crack. 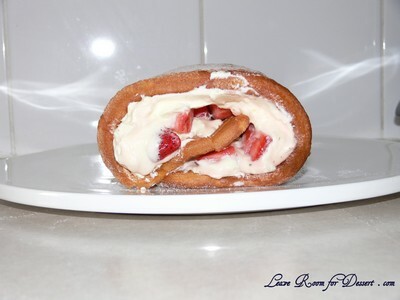 Spread thickly with lemon cream and top with half or more of the berries, then carefully roll up again. Sprinkle with extra caster sugar and sugared almonds. Slice and serve with remaining berries. 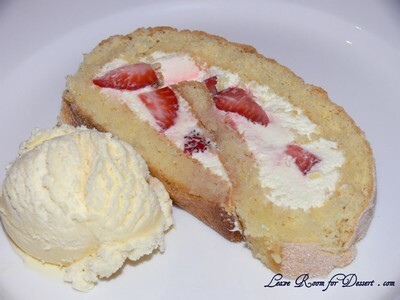 Note: You are able to leave the roulade in the fridge for a few hours before serving, to stop the cream melting.